Micro needling is a procedure that is gaining further exposure as more celebrities sing the praises of it. The vampire facial has been Kim Kardashian’s go to procedure to keep her looking young and refreshed. Darker skinned patients that look to have a micro needling procedure will frequently ask if this procedure is advisable for their skin type. The answer is yes. This procedure is indicated for all skin types. Micro needling is by far one of the safest treatments aimed at collagen stimulation for darker skinned patients. 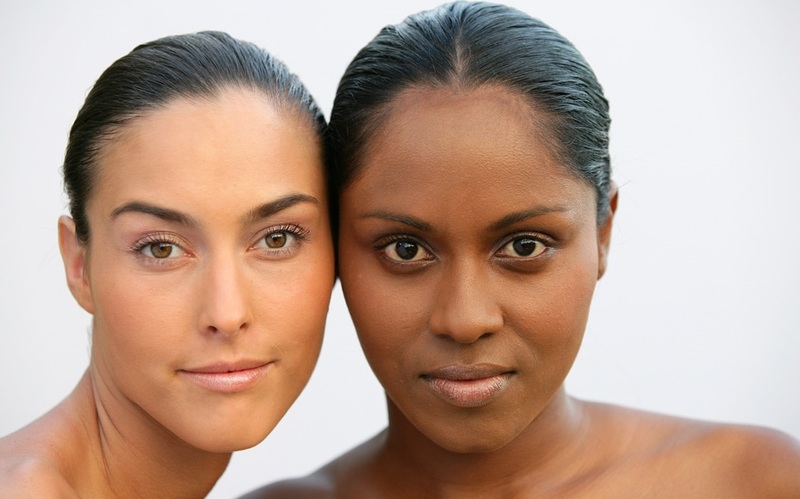 Often times patients of darker skin tones seek to address skin concerns with lasers, however their Fitzpatrick type is not ideal, as this can cause hypo pigmentation or hyperpigmentation. The advantage is that micro needling is not a light-based procedure, and does not involve harsh chemicals or techniques that can instigate significant inflammation of the skin. Darker skin types who are prone to post inflammatory hyperpigmentation (darkening of skin after mosquito bites, scratches and pimples) can easily get hyperpigmentation on or adjacent to the treated area if heat based lasers are used. Since micro needling is a non-ablative, this treatment means that there is no removal of the epidermis; therefore the epidermis is preserved with minimal risk for pigmentation issues. Micro needling creates micro injuries to the skin, which stimulate new collagen, thus improving skin quality and texture. Micro needling will also improve fine lines, wrinkles, sun damage, enlarged pores as well as creating a rejuvenating glow. Micro needling alone will definitely improve skin quality, but not deeper pigmentational issues. Appropriate skin care, sunblock and topical lighteners may be needed, and the effects will take time. Once a micro needling treatment has been completed, the patient’s skin will look as though they have a mild to moderate sunburn, and their skin may feel warmer and tighter than usual. These effects are normal and typically subside within a few hours after treatment, but can take up to 24-48 hours for complete resolution. It is pertinent that patients avoid the sun completely for one week post procedure as well as any harsh topical creams. Use of sunblock before and after the procedure is mandatory in order to protect the skin, and avoid any complications from the micro needling treatment. As a rule, sunblock should be continued as a part of any anti-aging skincare regime to protect skin from further sun damage and premature aging. 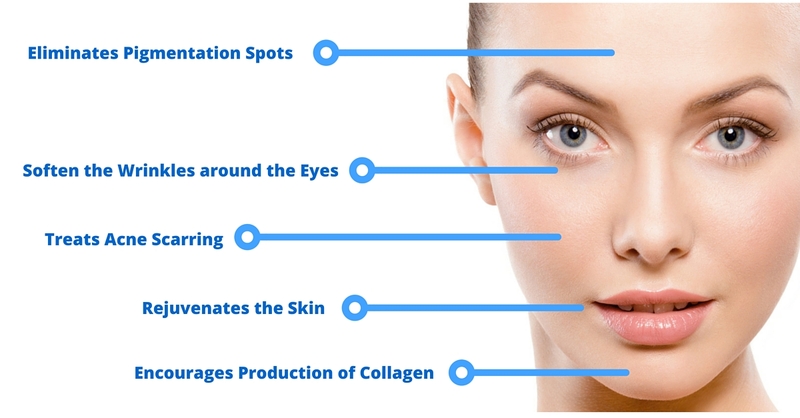 For more information on Micro Needling in Toronto, visit https://www.lastinglooks.ca/micro-needling-toronto at Lasting Looks Clinic in Toronto. Ever wonder why celebrities love micro needling? Angelina Jolie caused such a sensation with her youthful appearance at the Cannes Film Festival that her keenness for micro-needling was covered by the Los Angeles Times. Micro needling also known, as collagen induction therapy is a skin treatment in which tiny needles penetrate the skin in order to create superficial wounds that stimulate the production of collagen and growth factors. By stimulating collagen and growth factors, the newly formed tissue gets replaced with stronger collagen and elastin, causing the dermis to contract and thicken to create more youthful and firm skin. This treatment can address wrinkles, scars, pigmentation, and overall complexion, and can be done on the face, neck, hands, body and chest. Micro needling gained even more popularity when celebrities such as Brad Pitt, Jennifer Anniston, Angelina Jolie, Kim Kardashian, Demi Moore, Gwyneth Paltrow and Naomi Watts started revealing their beauty secrets and admitted that they all turn to Micro needling for incredible results and radiant complexions. As this treatment produces collagen and elasticity celebrities cant help run to it before their red carpet appearances. Micro Needling is effective at reversing the signs of aging and diminishing scars. Electronic based micro-needling is a newer skin therapy innovation that dramatically minimizes fine lines, scars and stretch marks. Micro-needling, also called Collagen Induction Therapy (or CIT), is a non-surgical resurfacing procedure that creates tiny controlled injuries beneath the skin’s surface stimulating the body to naturally produce collagen and elastin. The result is tighter younger skin with a diminished appearance of scars and wrinkles. After an electronic micro needling or derma roller treatment, most people will experience mild to moderate redness and possibly some swelling. Most patients compare it to the same way you may feel after a mild sunburn. Effects may last for 24-48 hours and there may be pinpoint bleeding and/or bruising. Inflammation of the skin is very temporary and reduces greatly within a few hours. The majority of redness will diminish over the next 48 hours. Dryness of the skin will occur after a few days after. This is due to an increased turnover of skin cells. Days later; the skin will start to shed. These are skin layers that would regularly shed naturally, however Micro-Needling brings this skin to the surface sooner. Using hyaluronic acid after the procedure can help reduce inflammation and provide intense hydration. Patients may resume their regular skin care products once the skin is no longer irritated. Sunscreen can be used to protect the skin. Makeup use should be limited to only mineral based makeup. Since micro needling can drastically intensify the absorption of topical skin products, irritation can occur if the wrong skin products are used post procedure. To avoid complications after a micro needling treatment, proper after care must be followed. Only use products that are specifically designed with micro-needling treatments and adhere to strict aftercare. Within several days to several weeks you will notice a smoother, brighter, and more radiant appearance, however, the full effects of the treatment do not appear until several months later. For more information on Micro Needling and Derma Rolling, visit https://www.lastinglooks.ca/micro-needling-toronto at Lasting Looks Clinic in Toronto.